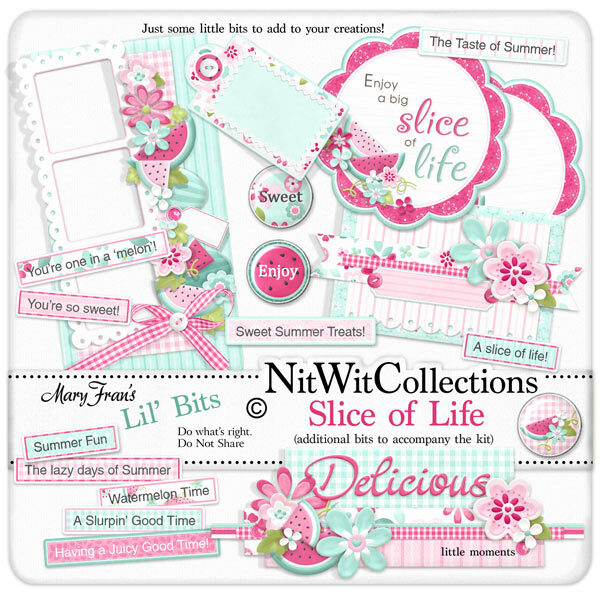 Lil' Bits "Slice of Life" allows you to enjoy the premade scrapbooking and card making elements, without the juice running down your sleeve! These elements in the Lil' Bits are NOT included in the "Slice of Life" FQB. 1 Wordart - "Enjoy a Big Slice of Life"
1 Wordart "Delicious little Moments"